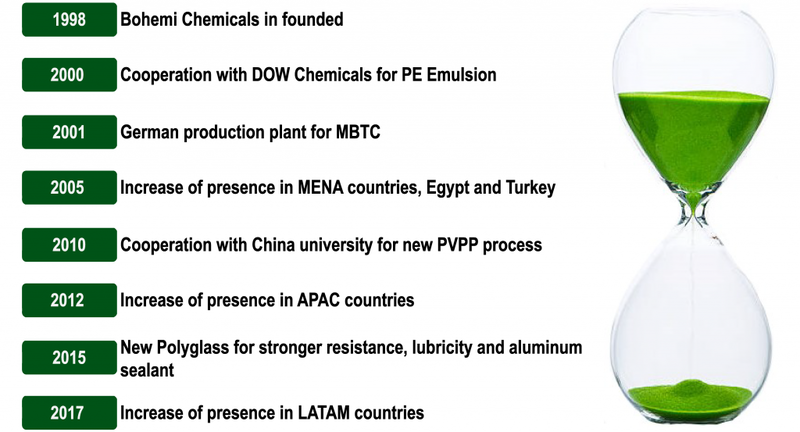 Bohemi Chemicals provides high quality chemical coatings for the hollow glass industry since 1998. During 20 years of activity we have developed an expertise regarding the quality of the glass bottle from the hot tunnel to the labelling process. Bohemi Chemicals’ philosophy is to focus on a limited range of products as long as they are on the cutting edge of quality and are capable of providing a real added value.